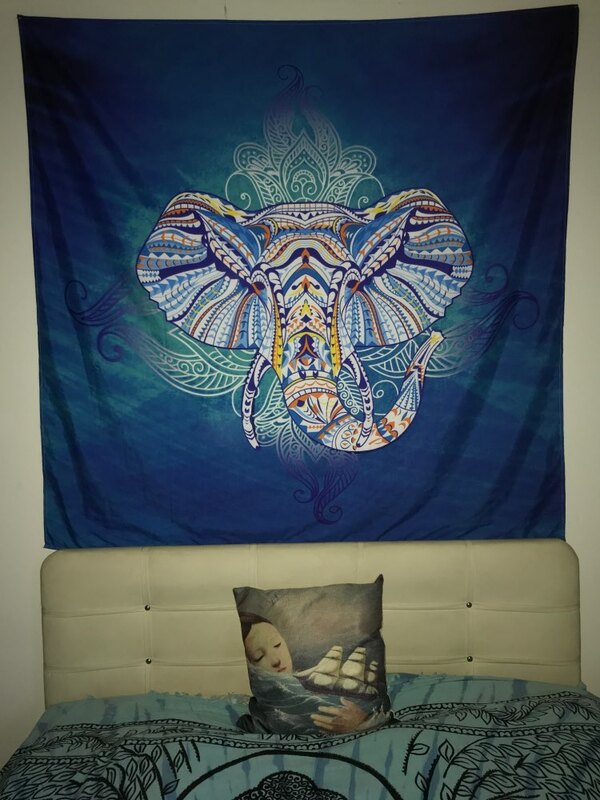 Our Boho Elephant Wall Hanging Tapestry is Lord of Good Fortune who gives prosperity, wealth, and success. 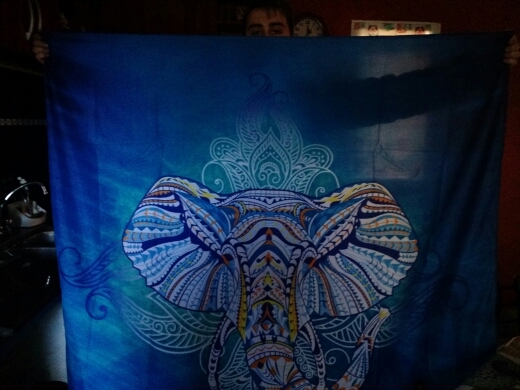 He is the God of Beginnings and the Remover of Obstacles of both physical and religious kinds. 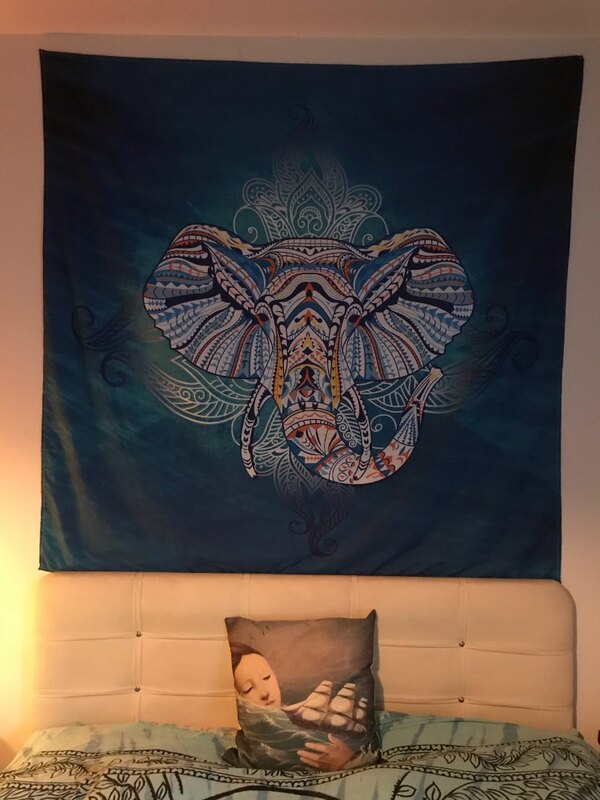 Presently Wall Hanging Mandala Tapestry is very modern home decor. Can be used also as blanket, carpet or beach towel as it is made of comfortable and breathable Polyester material. The good is exactly as it is on the picture. Muy lindo, tela de buena calidad. Envío rápido. Igual a la descripción. Good quality. I washed it and the colors do not wash out. Delivery in 22 days.